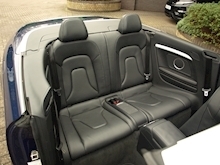 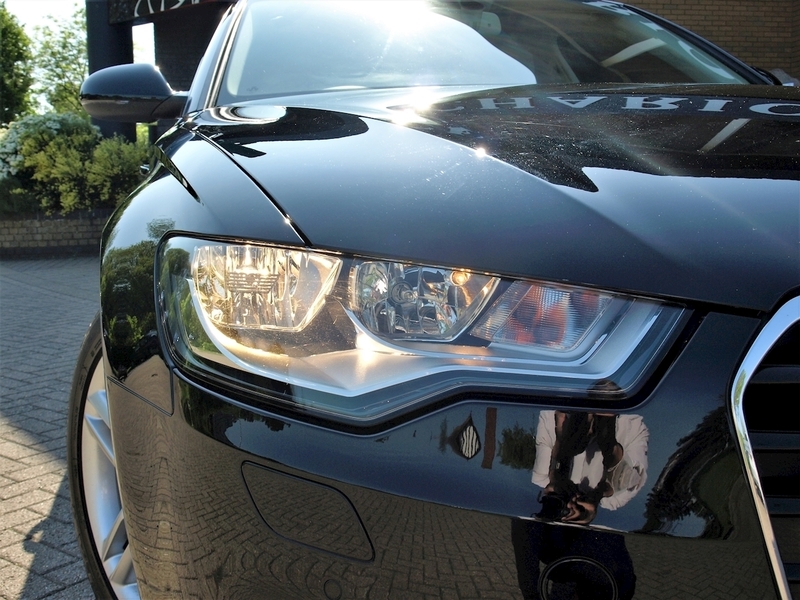 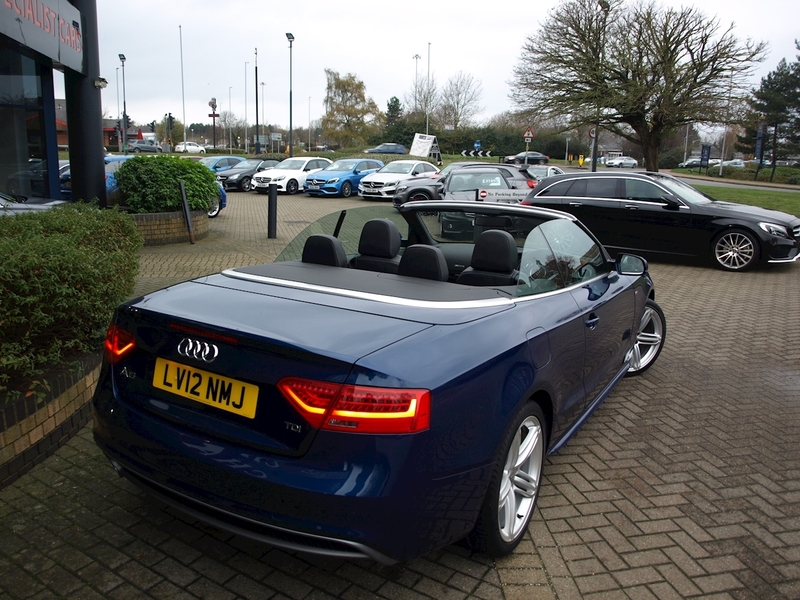 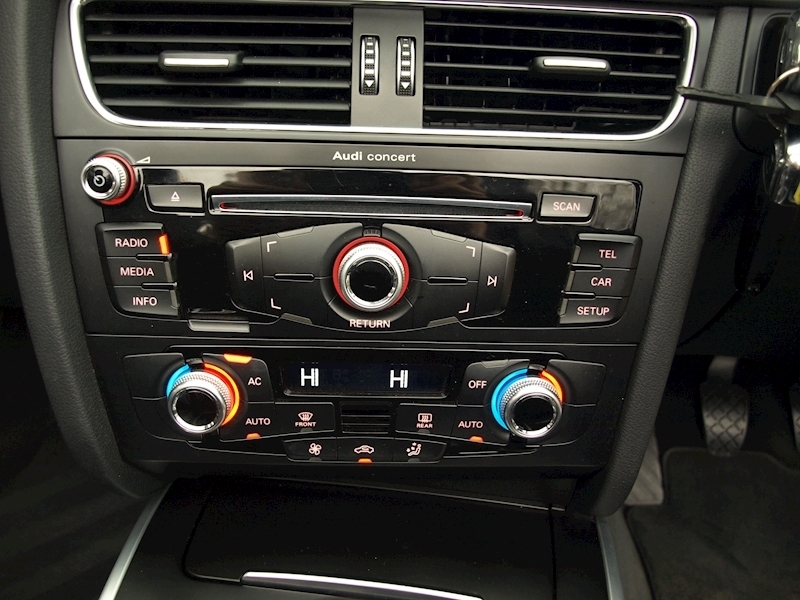 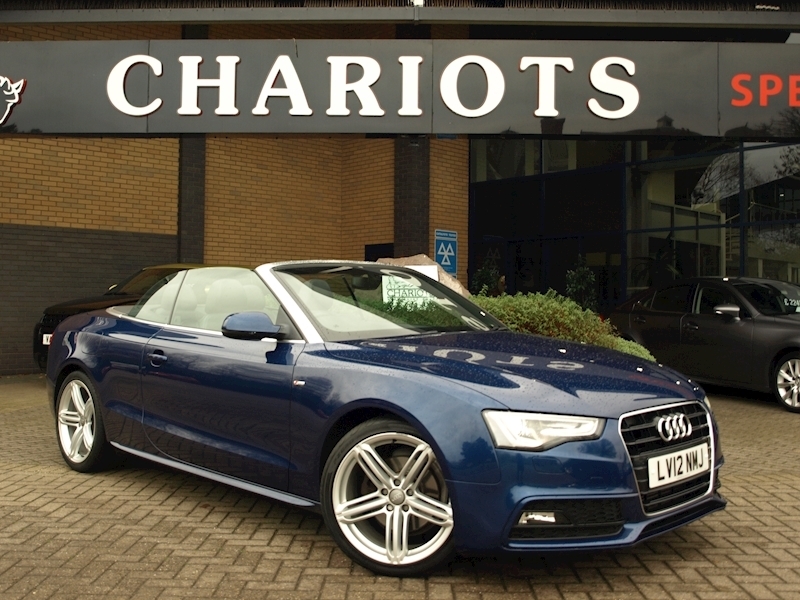 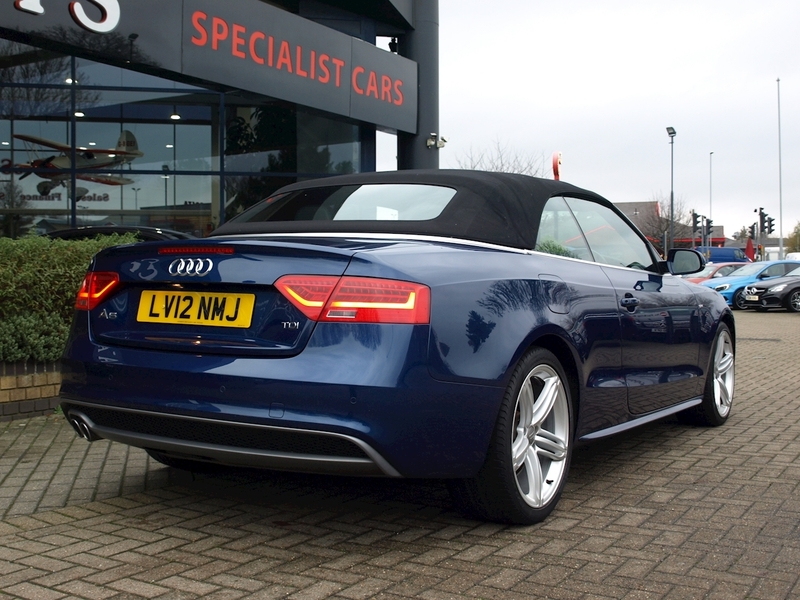 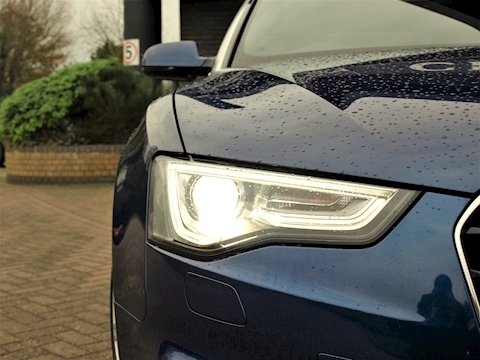 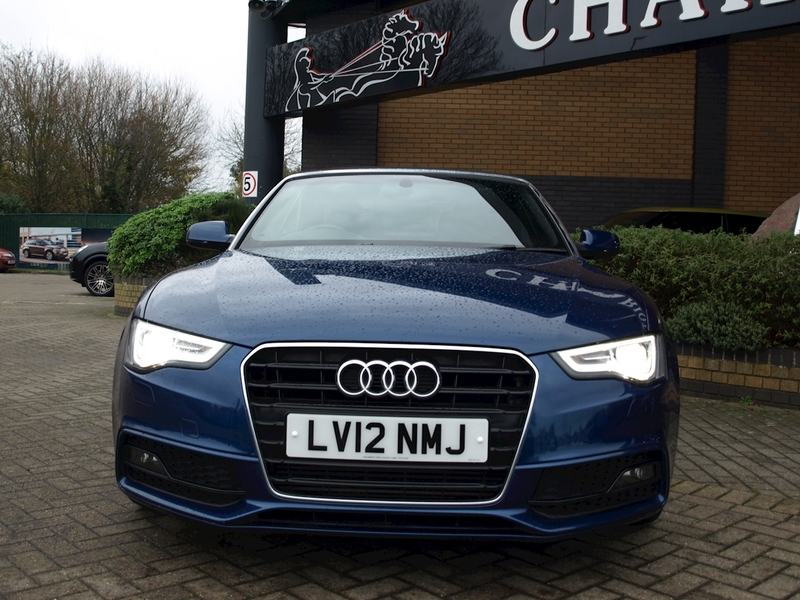 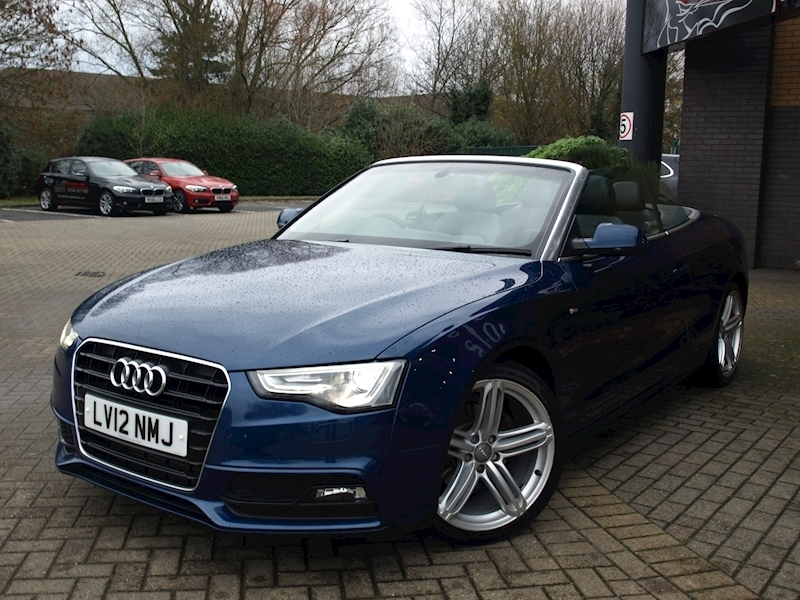 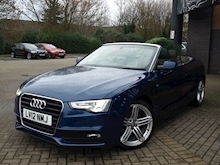 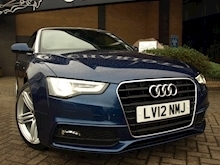 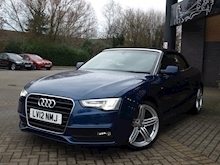 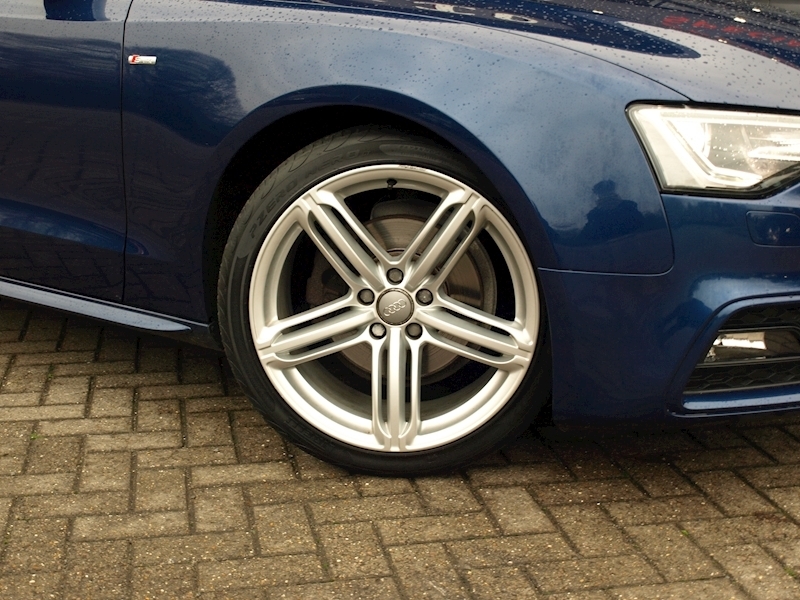 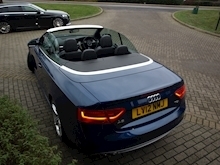 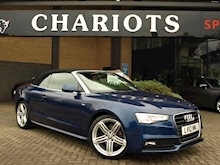 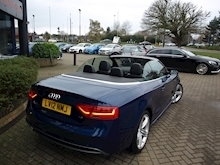 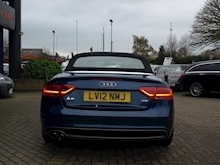 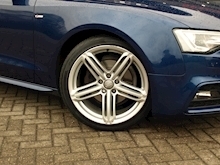 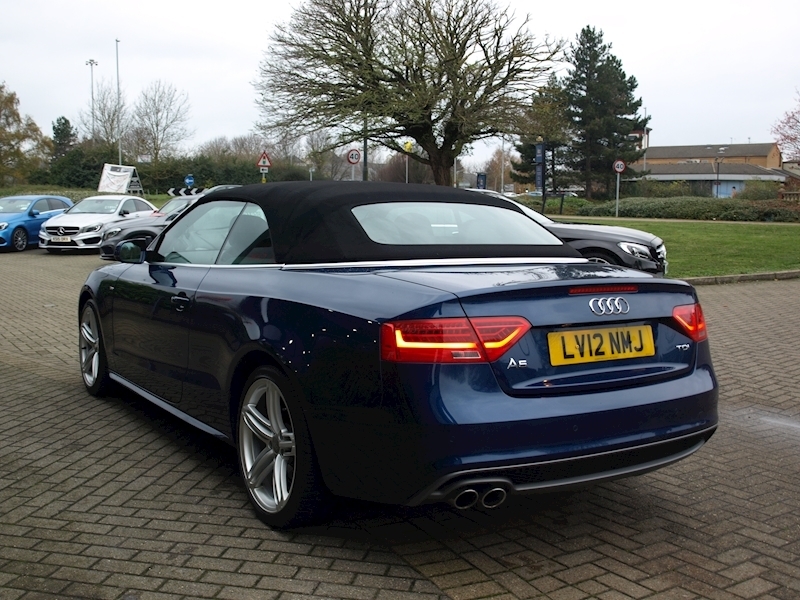 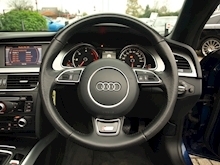 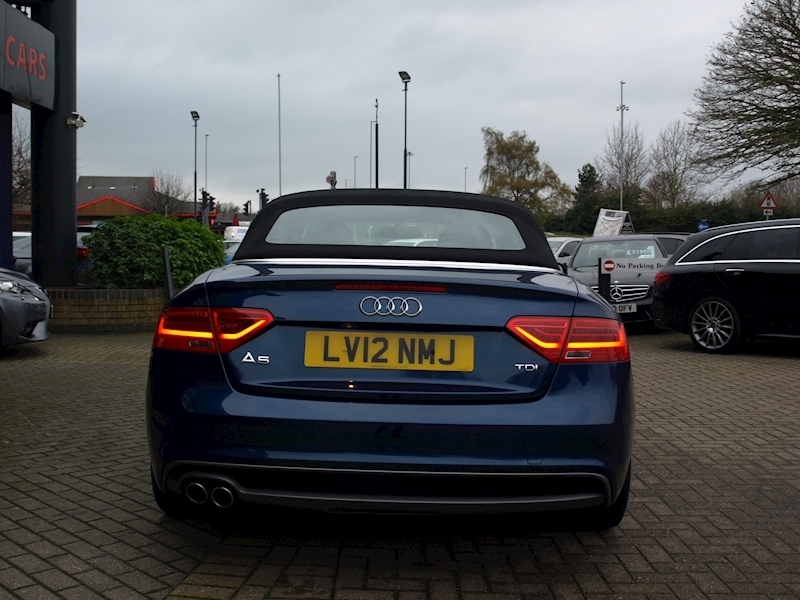 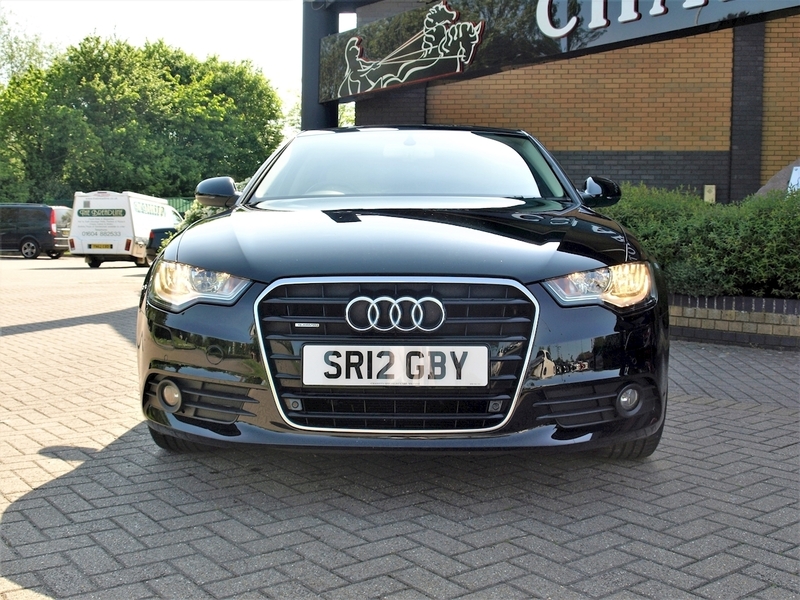 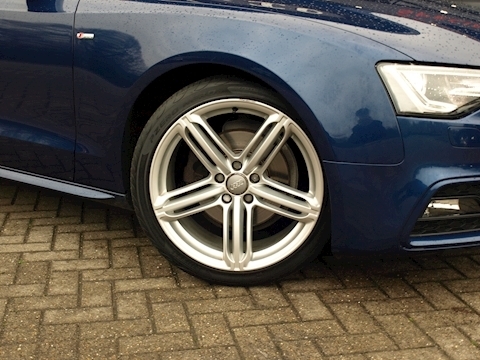 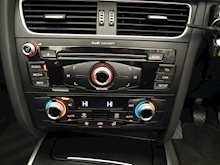 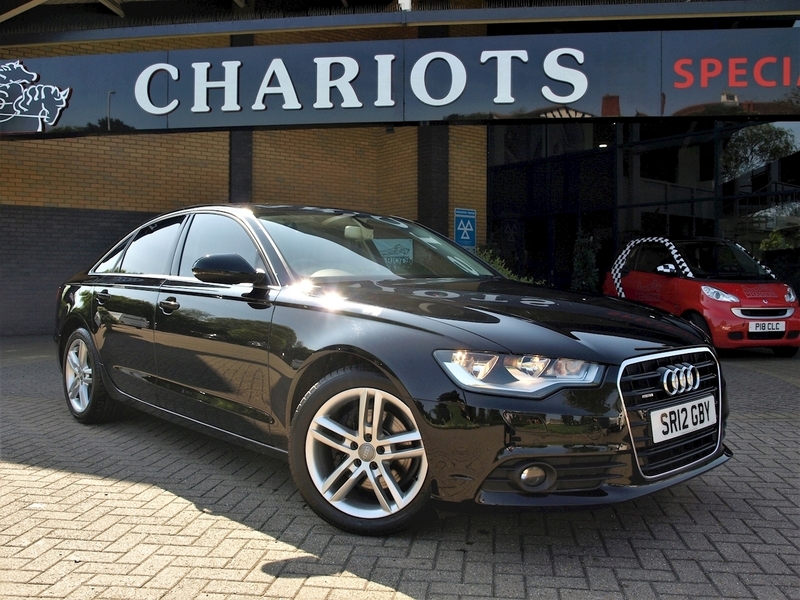 Chariots Specialist Cars have great pleasure in offering this 2012 Audi A5 Cabriolet 2.0 TDI S line Cabriolet 2dr in Scuba Blue with DAB Digital Radio, Mobile Tel. 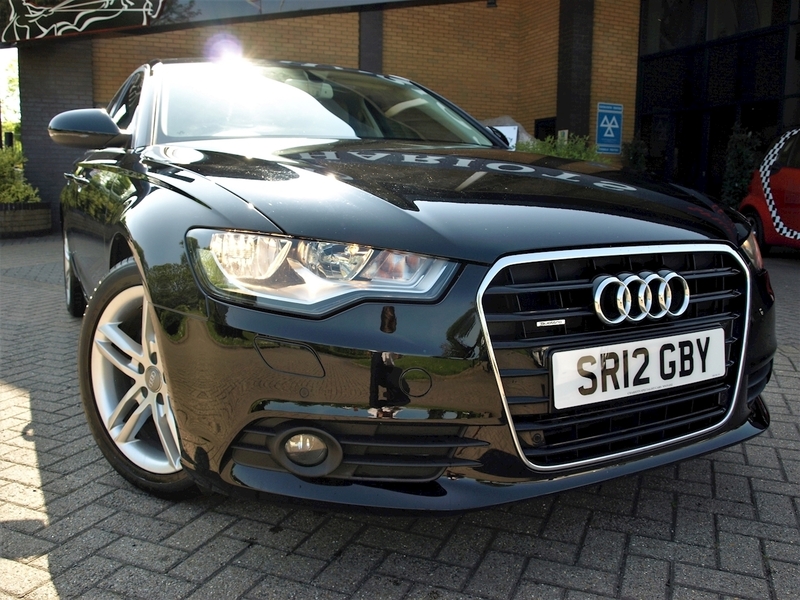 Prep.- Low with Bluetooth, Metallic Paint, Paint Metallic, Interior Light Pack, Bang & Olufsen Sound System, 12 months warranty, 12 months MOT, Black Full leather interior, Standard Features - 18in x 8J 5 - Spoke Design Alloy Wheels with 245/40 R18 Tyres and Locking Wheel Bolts, Acoustic Parking System (Rear Only), Audi Concert Audio System - Single CD with MP3 Compatibility - Colour Screen - SD Memory - Card Reader and AUX - IN Socket, Colour Drivers Information System (DIS), Deluxe 3 - Zone Climate Control, Electric Front and Rear Windows, Mobile Telephone Prep. 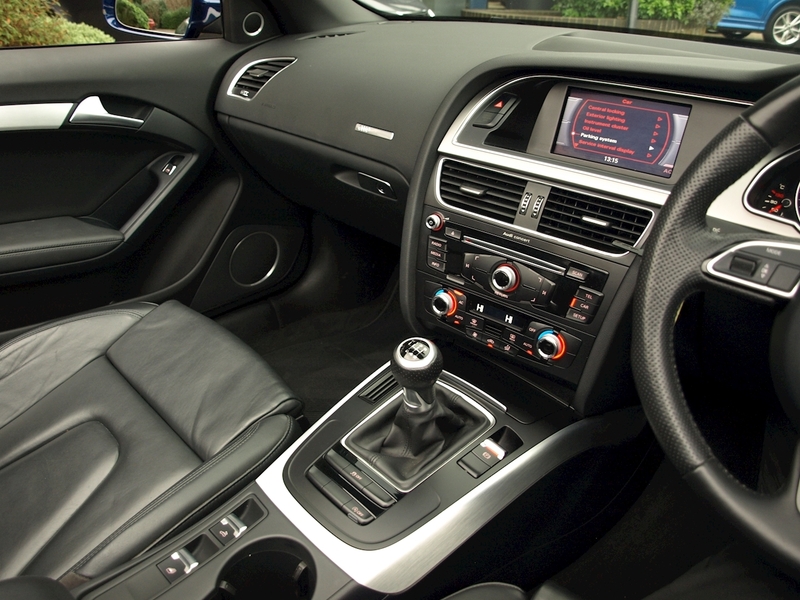 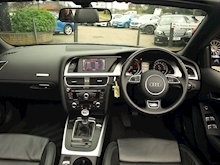 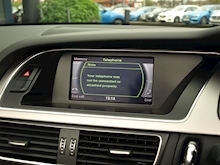 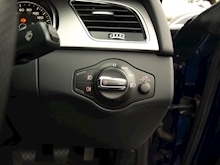 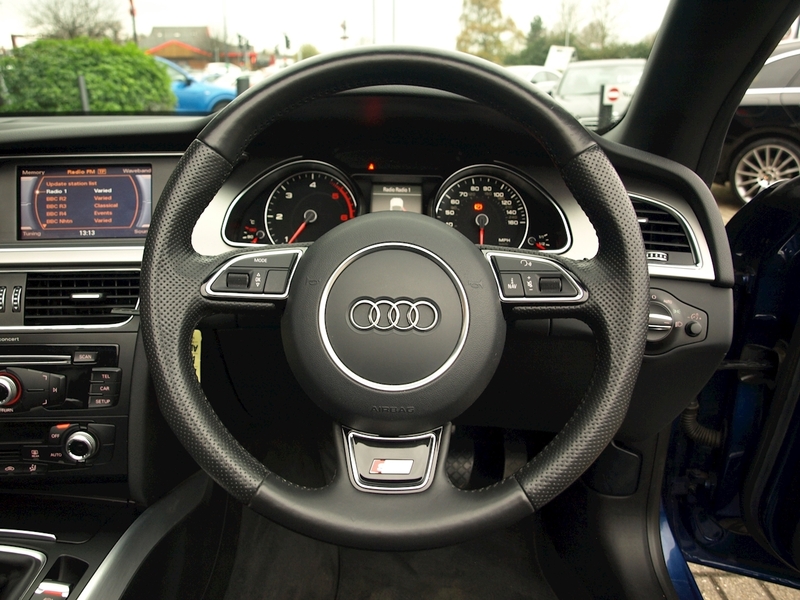 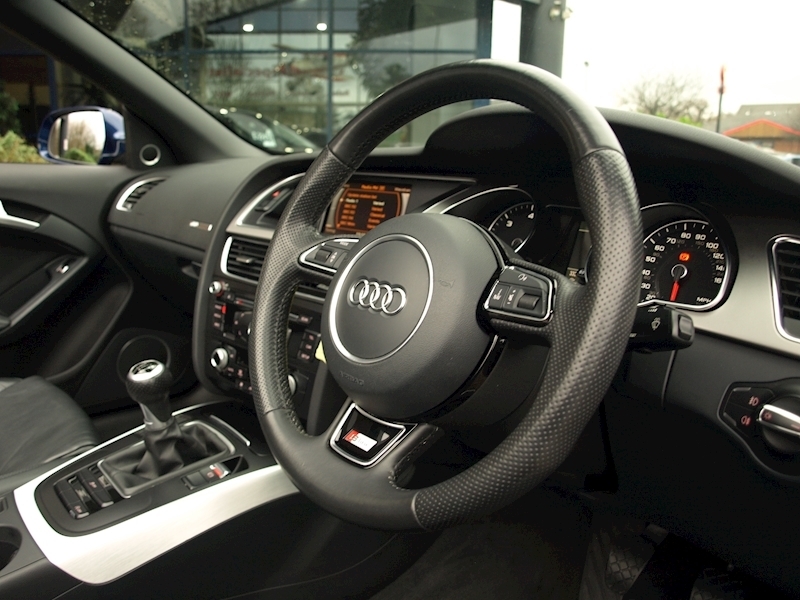 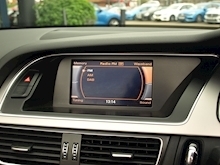 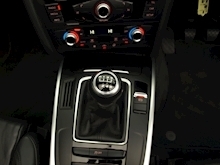 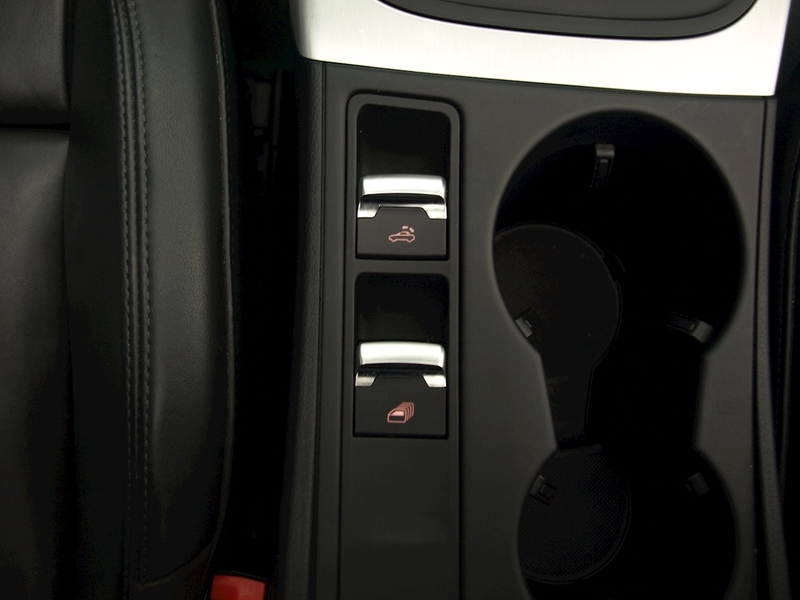 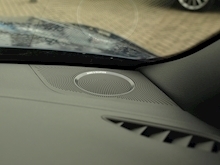 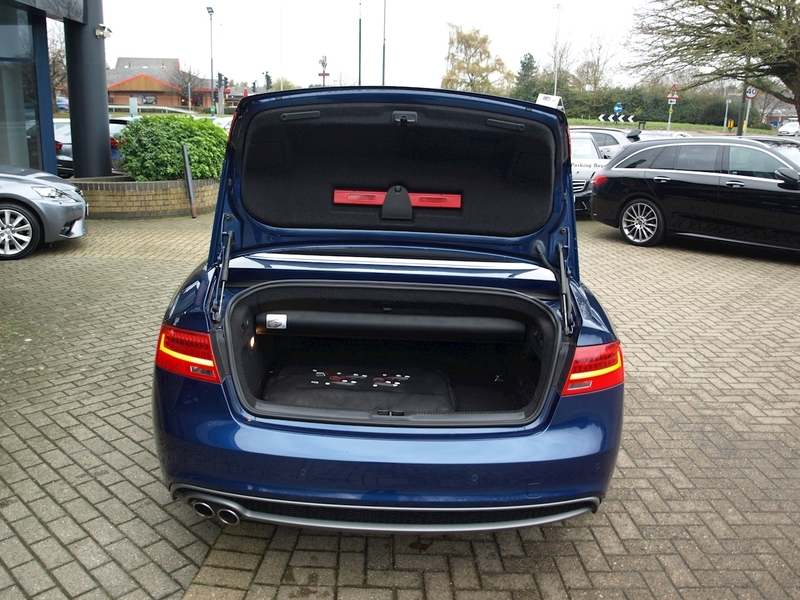 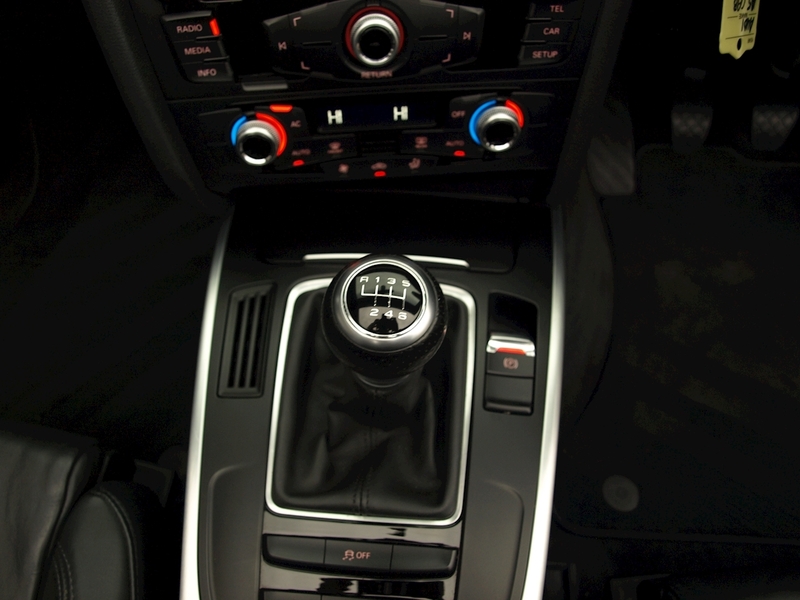 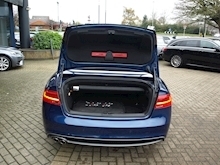 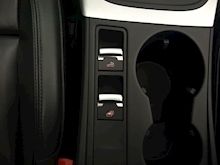 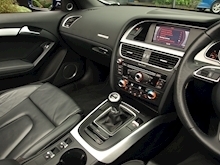 - Bluetooth Interface, Rain Sensor, Thatcham Category 1 Alarm, Upholstery - Fine Nappa Leather with S Line Embossing. 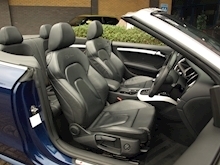 4 seats.